In rural Fond des Blanc, Haiti, most women live in poverty. Haiti Projects is a women empowerment program that is helping change that. 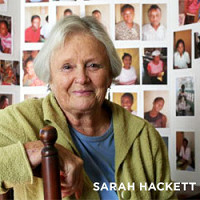 Founder Sarah Hackett had always been fascinated by Haiti. When she finally got the chance to visit in 1992 as a volunteer, her affinity for the country grew and she was spurred to create opportunity and change. Haiti Projects takes concrete action on jobs, health, literacy and more. They run an artisan cooperative that employs 100+ women with Fair Trade work. Their women’s health clinic provides needed services, including a mobile unit to reach those unable to reach the village center for care. And their library provides books, computer access, literacy initiatives, and other programming to expand access to information and education. 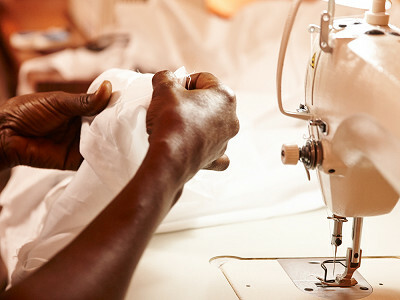 Supporting Haiti Project helps empower women toward self-sufficiency while strengthening their entire community. I’m Cherie Miot Abbanat, the CEO of Haiti Projects, Inc. Haiti Projects empowers women in rural Haiti towards self-sufficiency by providing jobs, access to health care and to education. Much exciting work lies ahead, and we are thrilled to share our story and our successes with The Grommet community! Why did Sarah Hackett begin Haiti Projects? Sarah Hackett, a nurse, was running a hospital in Fond des Blancs, Haiti. Every day she would see and try to treat the many illnesses suffered by the men, women and children in Fond des Blancs. Often they would be seen at the hospital and have funds for the consultation, but they would often not have funds for medicines. Sarah found herself paying for the medicines of many, many people. This problem led Sarah to wonder if maybe she could help people find jobs; find a way to help people pay for heath care themselves. 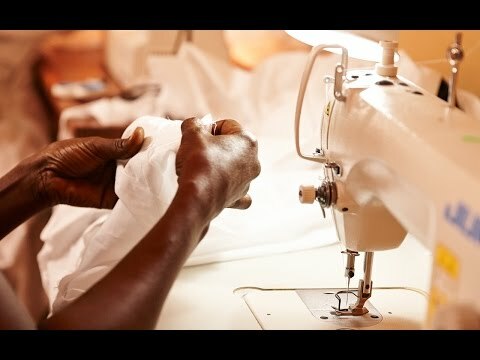 At the same time she realized that the women already had embroidery skills and that she could build on those skills by creating the Haiti Projects Artisan Workshop, paying wages for the beautifully embroidered items the women were producing. Thus, the artisanat was born. Fond des Blancs is 3.5 hours southwest of Port-au-Prince. It is a place with no paved roads, no running water, and no electricity. This place, because it was so remote and so poor, was selected to become the site for a clinic and later a hospital to meet the needs of the people of this area. Sarah Hackett found herself running this hospital. Sarah offered family planning at the hospital that she ran, but she would soon be kicked out of the hospital along with her family planning medications and supplies. The nuns would not allow contraceptives or family planning services, including education, to be provided to the people. When Sarah was given 24 hours to leave, she did. She took all of her medications, her 27 patients and walked down the pathway and set up a new family planning clinic in a small little house around the corner. Haiti Projects was born. The artisanat would soon follow and the library project several years later. Each project is designed to serve a real need and work along side the other projects to create a system of projects that focus on empowering women by providing jobs, access to family planning, and educational opportunities. How have you seen the organization’s work have an impact on the overall community? The Impact of our work is hard to measure. How do you measure the dignity that a job brings, or the joy of watching your child attend school? How do you quantify the opportunity to buy a home, or purchase livestock to raise for added income for your family? 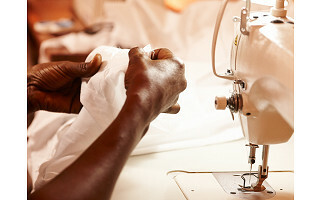 Women who work for Haiti Projects are making strides. Our women report that before working for Haiti Projects, only 27% could afford to send their kids to school, now 98% can send their kids to school. Similarly, before working only 23% could afford needed medicines, only 14% could afford to purchase livestock, and and only 5% could afford to repair their homes. We have more than doubled these numbers. Now, because of their jobs, nearly 60% can afford medicine, 27% can buy livestock and 13% can make home improvements. In rural Fond des Blanc, Haiti, most women live in poverty. Haiti Projects is a women empowerment program that is helping change that. Founder Sarah Hackett had always been fascinated by Haiti. When she finally got the chance to visit in 1992 as a volunteer, her affinity for the country grew and she was spurred to create opportunity and change. Haiti Projects takes concrete action on jobs, health, literacy and more. They run an artisan cooperative that employs 100+ women with Fair Trade work. Their women’s health clinic provides needed services, including a mobile unit to reach those unable to reach the village center for care. And their library provides books, computer access, literacy initiatives, and other programming to expand access to information and education.